Both Sunshine Coast and Bundaberg clinics will be closed from 1pm on 21st December 2017 and will not open again until 8am on 8th January 2018. If patients have urgent enquiries we advise that they contact their specialist or Fertility Solutions on-call nurse on 0437 624 700. Sunshine Coast Region Patients can call between 4pm-5pm on the day of the blood test. Bunderberg and Central Queensland Patients can call between 4pm-5pm the day AFTER the blood test. 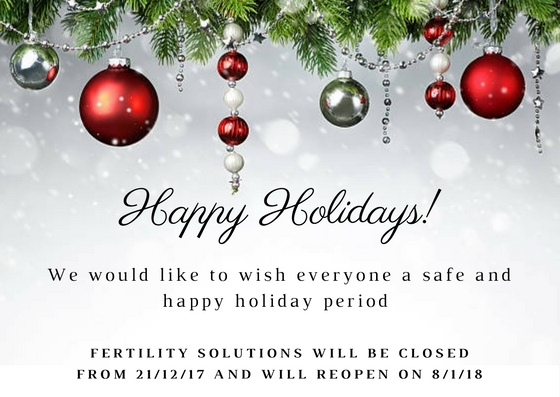 From the Fertility Solutions Team we hope you have a safe and happy holiday period.